A hysterectomy is a surgical procedure wherein the uterus is removed. It's one of the most commonly performed surgical procedures in the United States, with upwards of 600,000 hysterectomies being performed each year. Part of the reason for the commonality of the procedure is that there are a wide range of reasons for getting a hysterectomy, including cancer, fibroids, endometriosis, uterine prolapse, or even just persistent pelvic pain. You can speak to Dr. Wong for an extensive breakdown of the pros and cons of a hysterectomy versus other potential treatments for your particular situation. 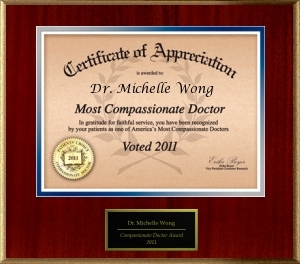 If you do decide that a hysterectomy is the best course of action, Dr. Wong specializes in minimally invasive surgery techniques, including laparoscopic hysterectomies. A laparoscopic hysterectomy, as opposed to the more traditional abdominal hysterectomy, is a relatively new minimally invasive hysterectomy in which a small incision is made in or around the navel and a tiny camera is inserted. The surgeon watches the image from this camera on a TV screen and performs the procedure. Two or three other tiny incisions are made in the lower abdomen. Specialized instruments are inserted and used for the removal process. The majority of patients go home the same day, and are able to go back to work or their other daily activities within 2-3 weeks. Abdominal hysterectomies, on the other hand, involve a large incision in the abdomen, several days in the hospital, and six to eight weeks of recovery time. Minimally invasive laparoscopic techniques in general have been available since the 1970s and 1980s; in fact, laparoscopic techniques are used regularly in gallbladder and appendectomy surgeries, and have been adapted to surgeries in cardiology, urology, and several other fields as well. However, laparoscopic hysterectomy itself is actually a fairly new procedure, with the first few cases being performed in 2005. As a patient having any laparoscopic procedure done, it's important to have a skilled doctor performing the procedure. Minimally invasive hysterectomies and all minimally invasive surgeries in fact, are delicate procedures requiring experienced and knowledgeable doctors. 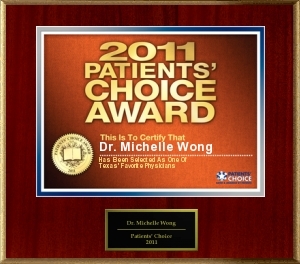 As one of the best OB/GYN doctors in the Sugar Land area, Dr. Michelle Wong has an impressive background in obstetrics and actually specializes in minimally invasive surgery techniques. For any further information about laparoscopic hysterectomies, minimally invasive procedures in general, or if you just need a gynecologist or OB/GYN in the Sugar Land area, please feel free to call and schedule an appointment with Dr. Wong.